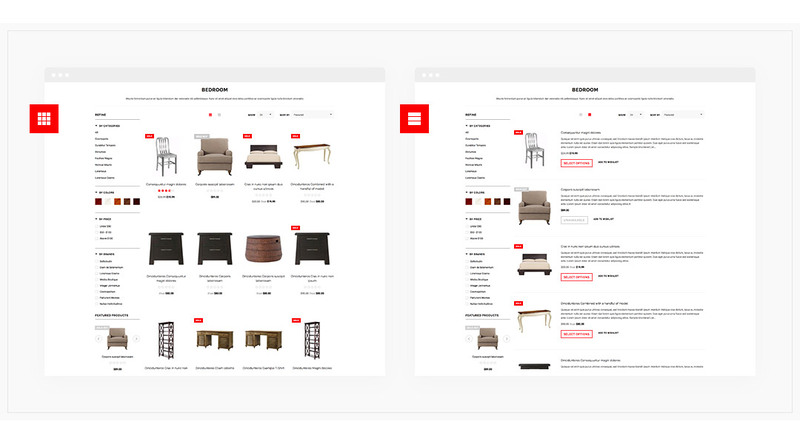 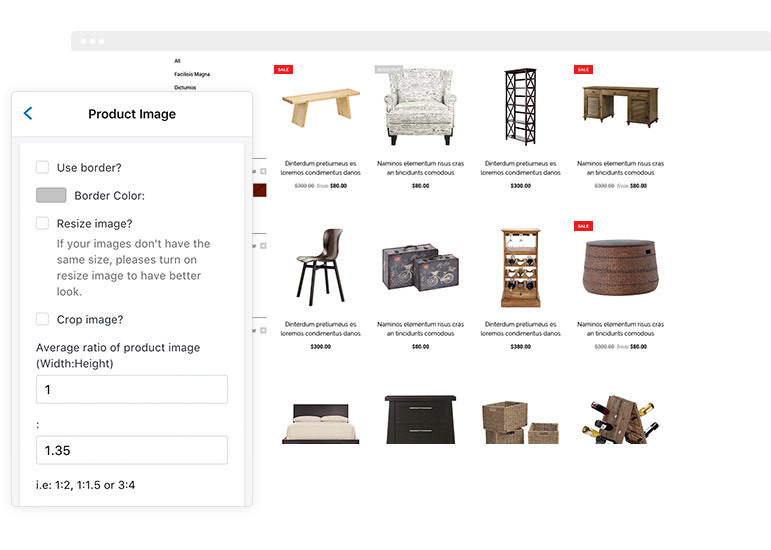 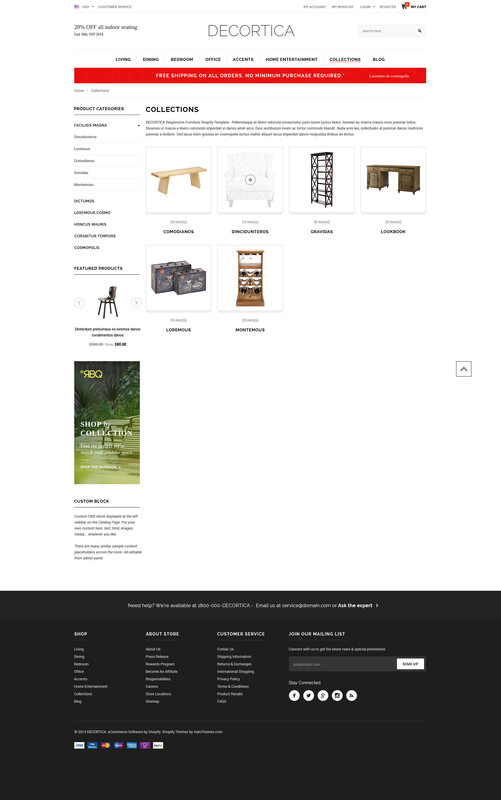 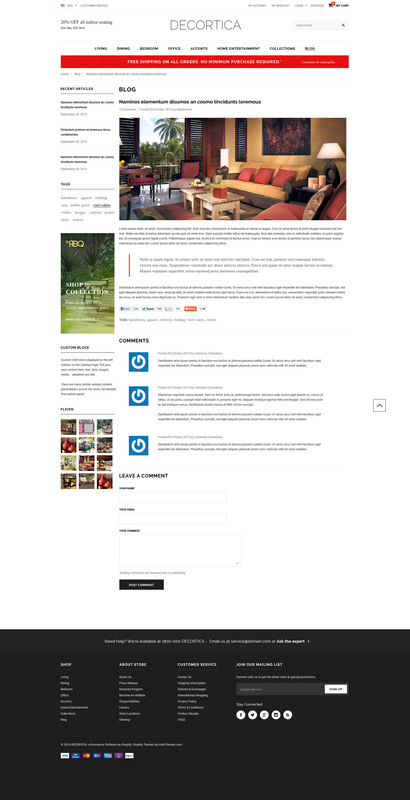 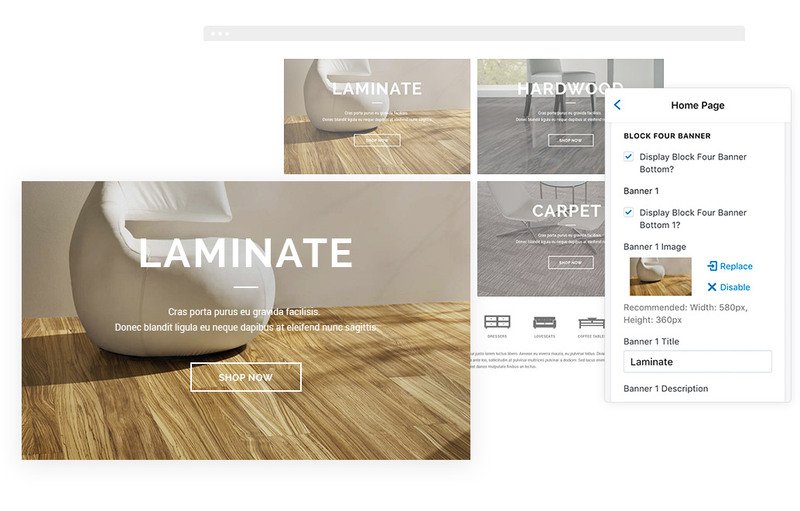 Are you searching for a special template for your Furniture Online Store? 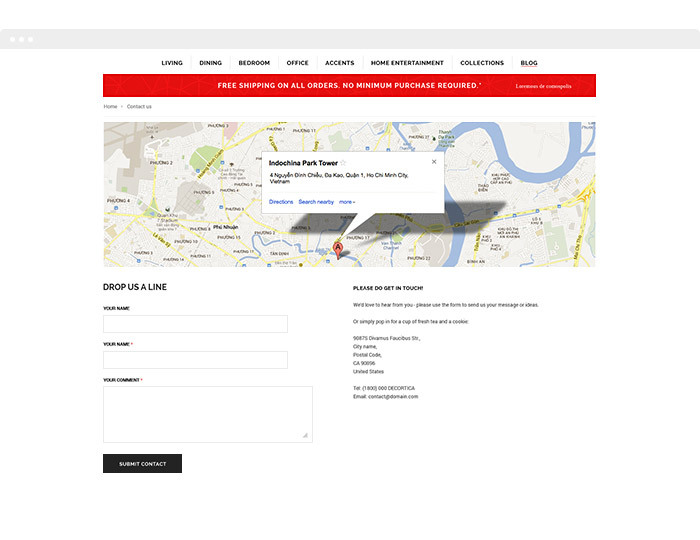 Then, the searching can be stopped here. 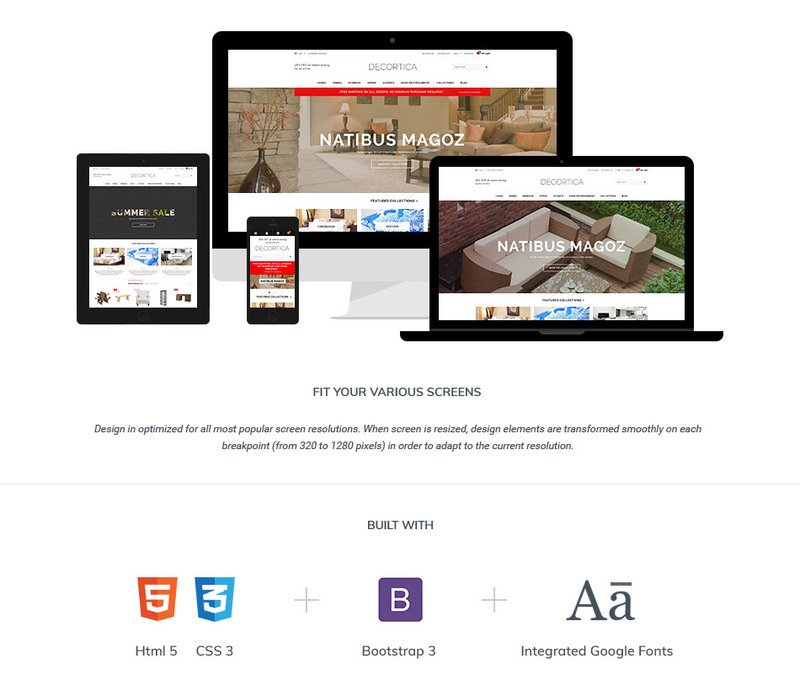 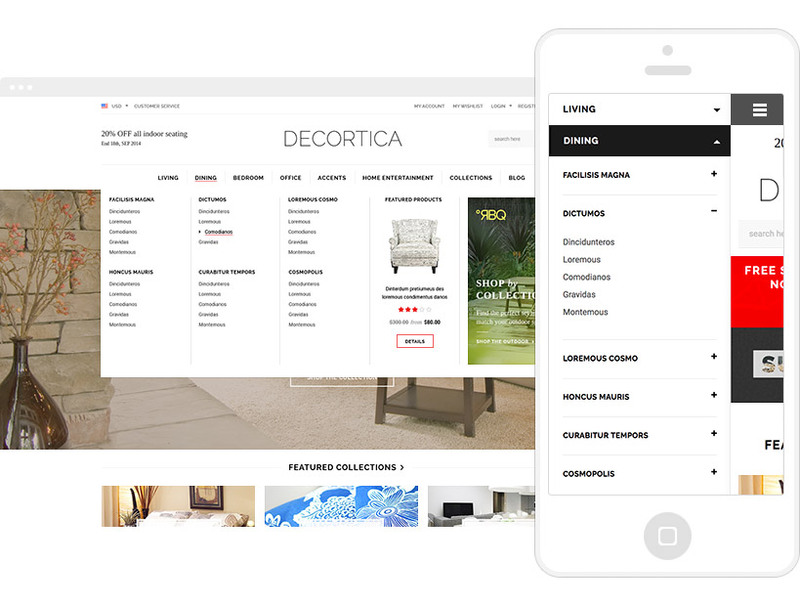 Because we have here DECORTICA – Responsive Shopify Template. 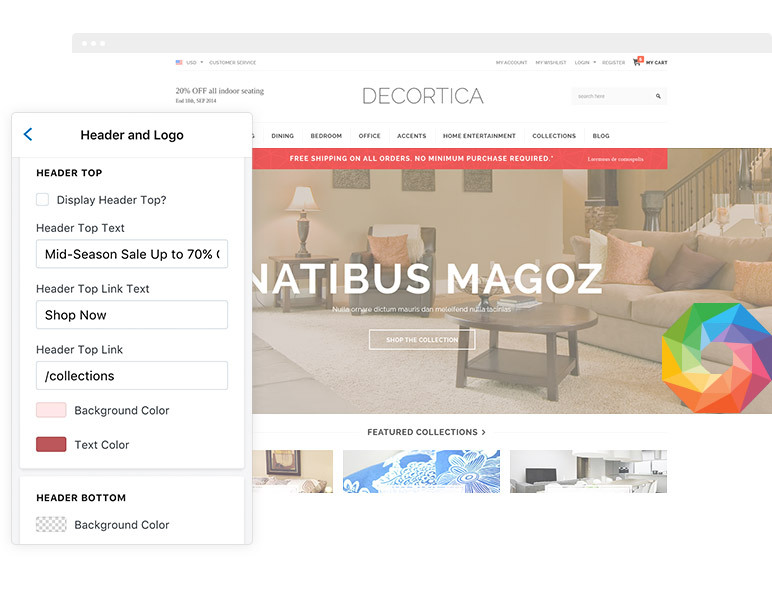 The main factors that make DECORTICA so special are its modern flat design and simple three-color scheme. 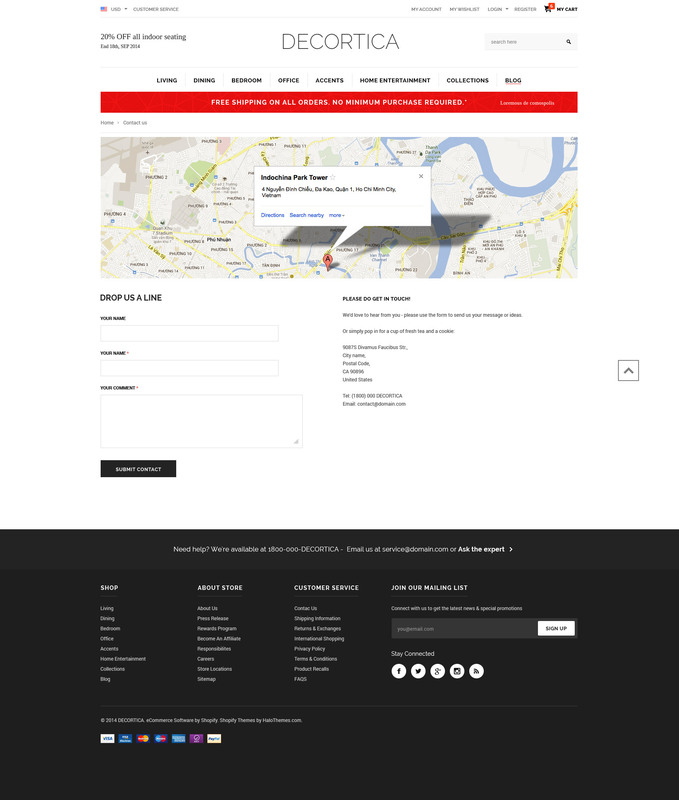 Black, white and red can be a little bit too contrasting but when you know how to handle these three colors, they can make a nice contrast and give the website a sophisticated and unique look. 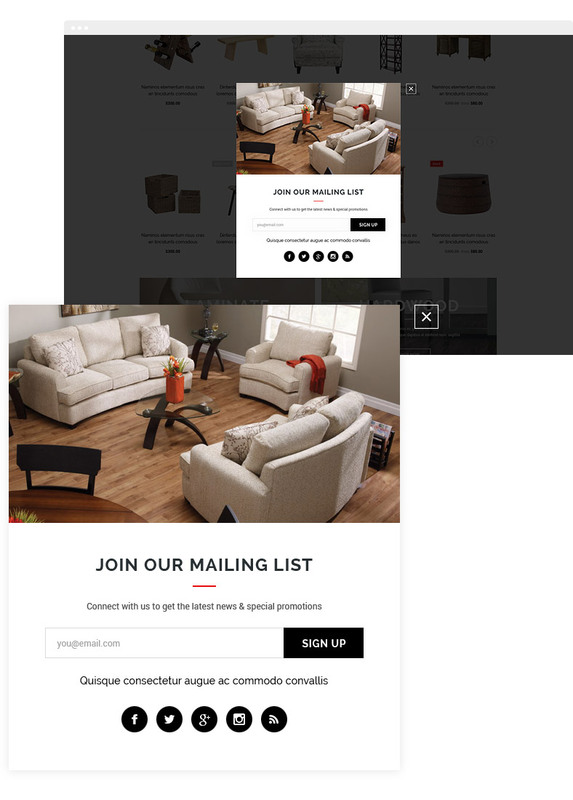 The banners in nicely put to show off the contents you want your customers to lay eyes on. 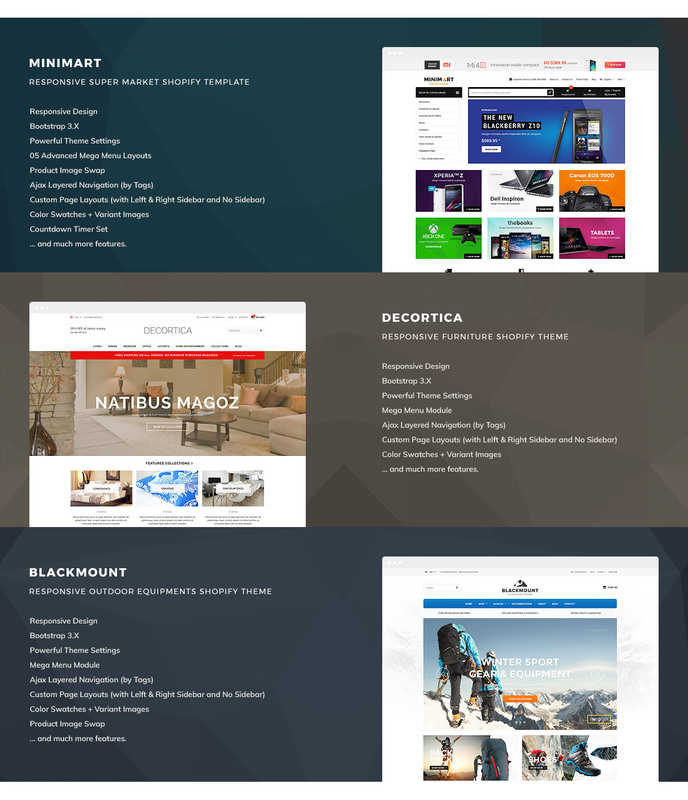 In addition, we give you load of nice and rich features, namely Mega Menu Module, Dropdown Login Module, Product Filtering by Tags Module, Powerful Theme Settings, Color Swatches + Variant Image and many others. 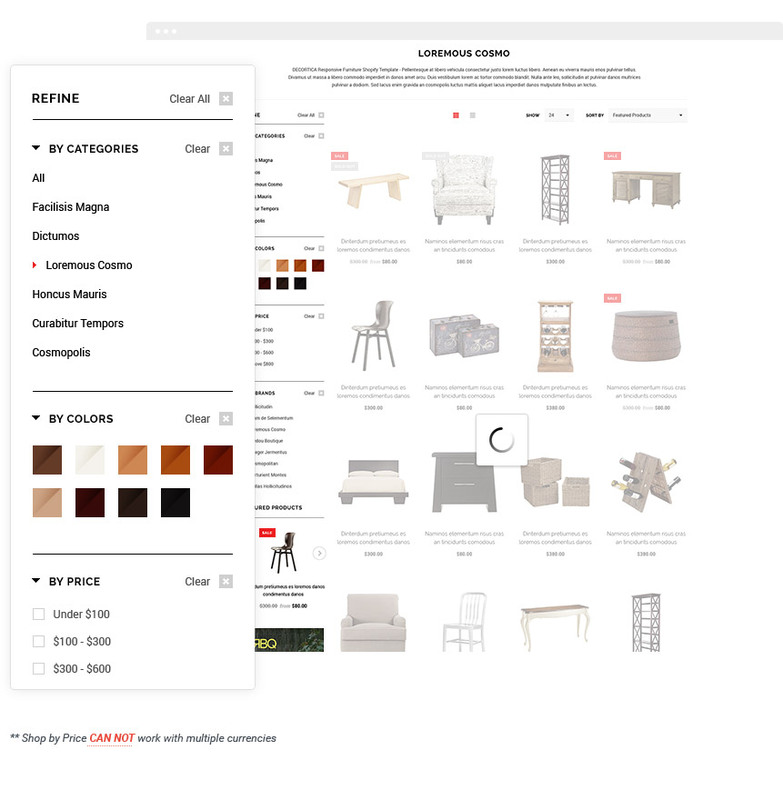 Category page/ product detail page and blog page are designed with three options: left/ right sidebar or no sidebar –whichever suits you best. 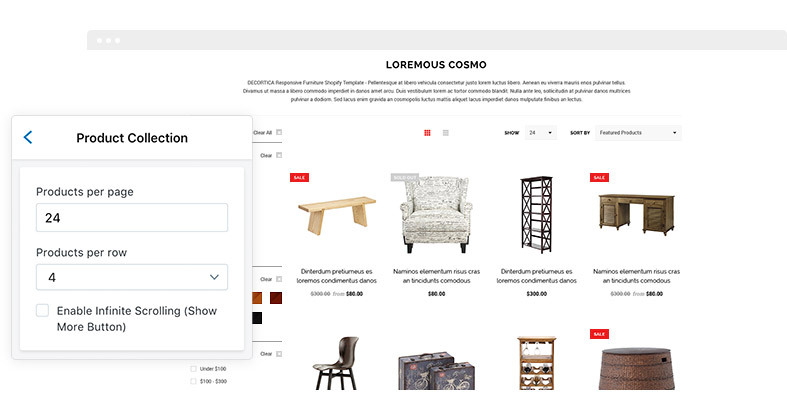 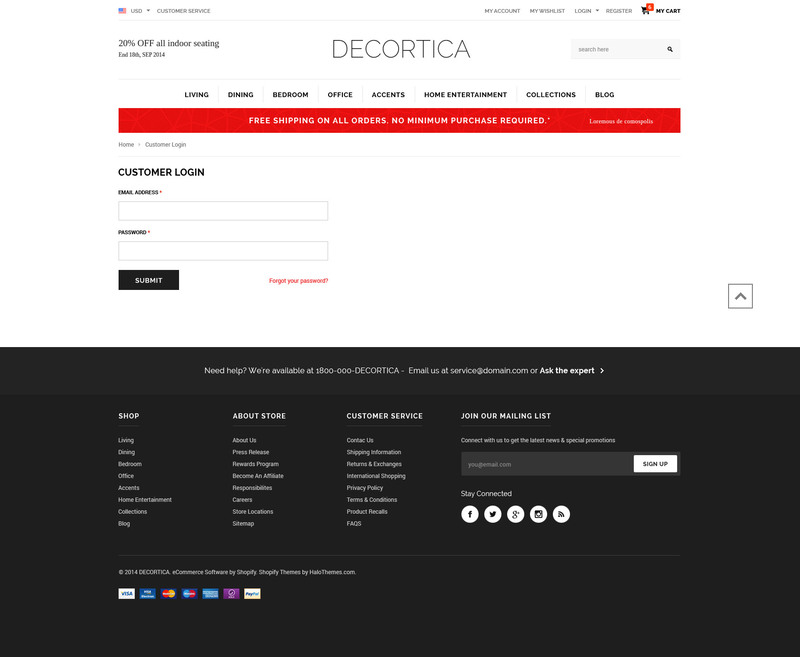 Like our other templates, you can apply DECORTICA Shopify Template to many products, such as: Mobiles & Tablets Store, Bikes Store, Jewelry & Accessories Store, Fashion Boutique, Shopping …You can choose different color schemes and customize the template in your own way to make your website like no others. 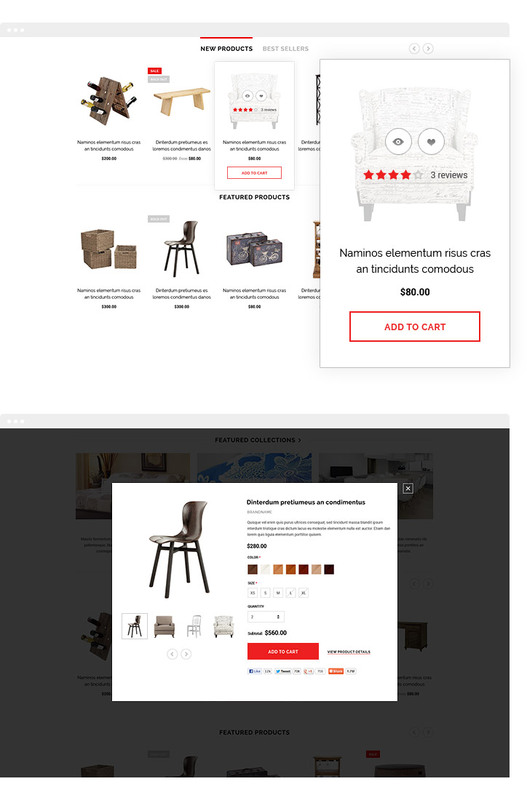 Not only you but your customers are going to love it. 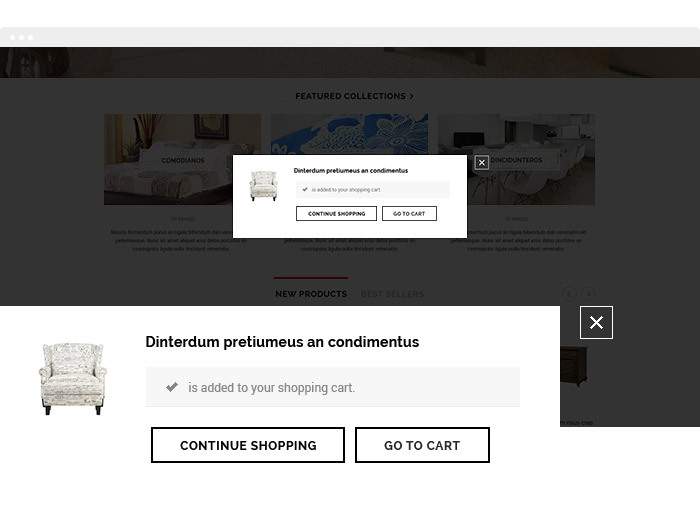 Just give it a shot, won’t you? 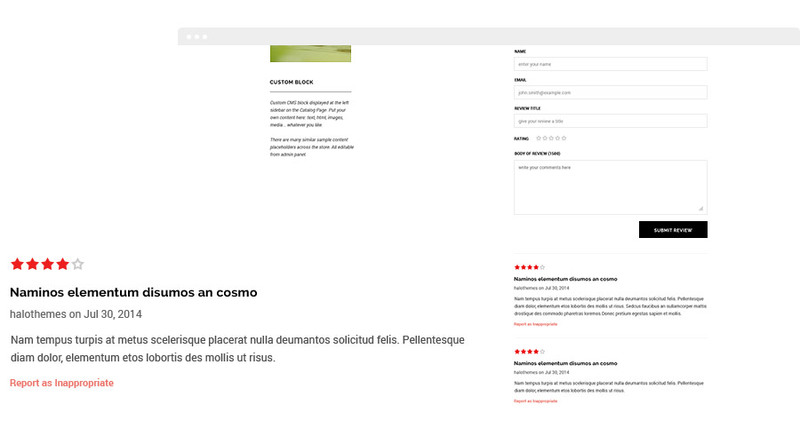 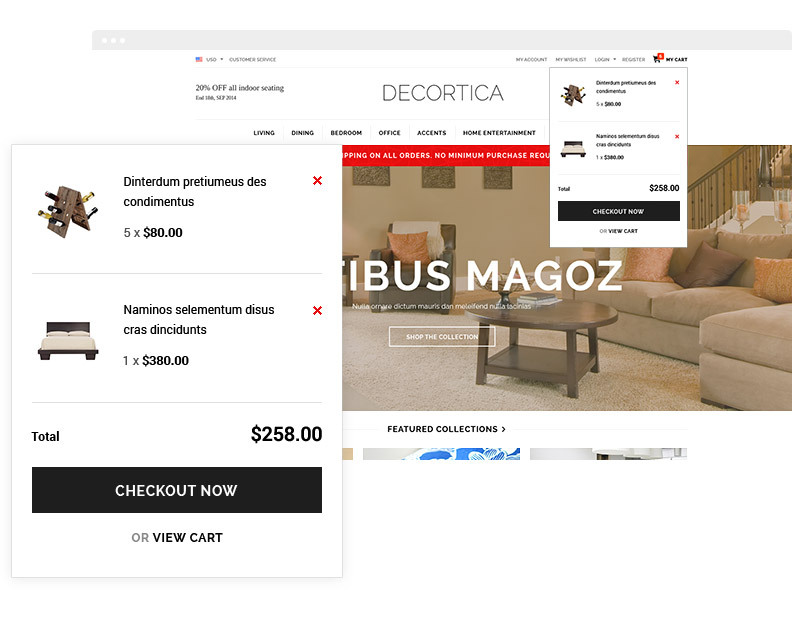 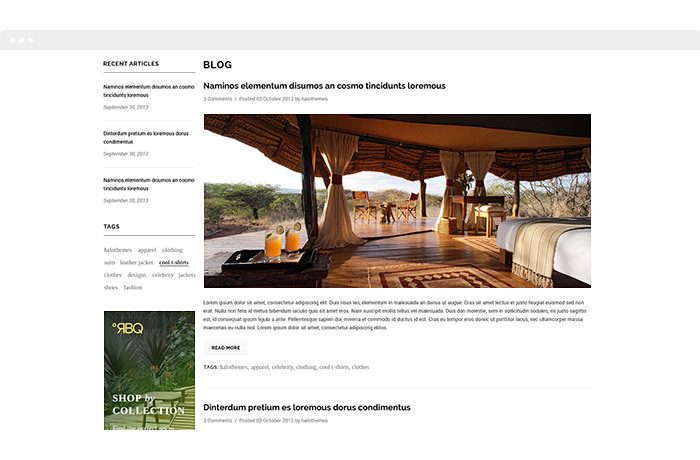 DECORTICA - Responsive Shopify Template: Included 03 theme presets. 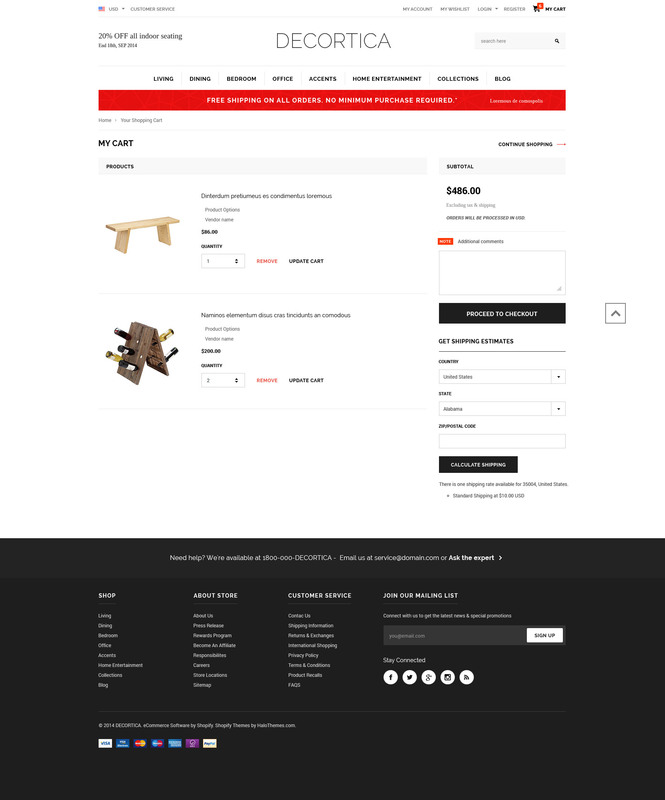 Choose your own theme & template for your Shopify store.